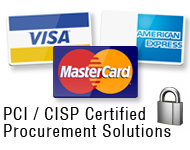 ePS Payment is our proprietary PCI compliant, CISP certified card payment processing platform, benefiting Suppliers. Our solution adheres to strict industry standards for storage, transmission and security of credit card data. 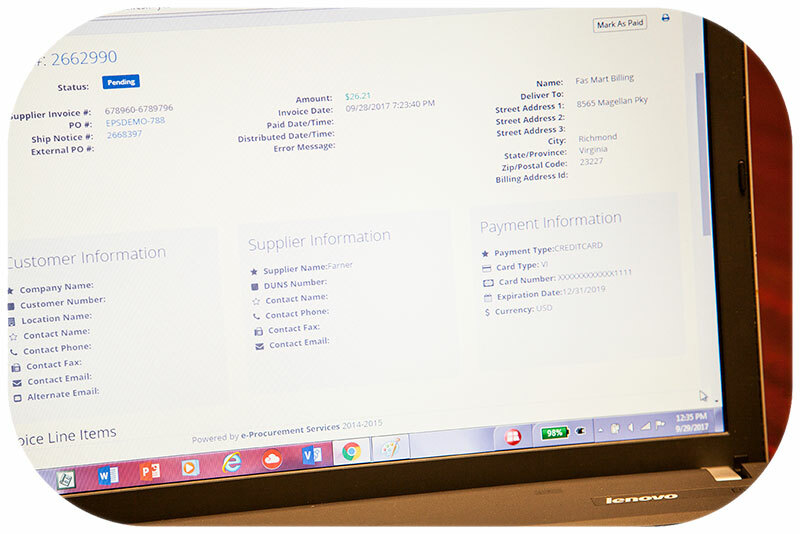 We process transactions on behalf of both buyers and suppliers, preventing fraud and reducing risk. The ePS platform is PCI-compliant and CISP-certified. This means that we not only securely store credit card /P-Card information but securely pass the card information on the Purchase Order to the supplier, and then we process the credit cards on behalf of the supplier.